Browse > Home / Child Development, Parenting, Toddlers/Preschoolers / Is Your Toddler a Finicky Eater? 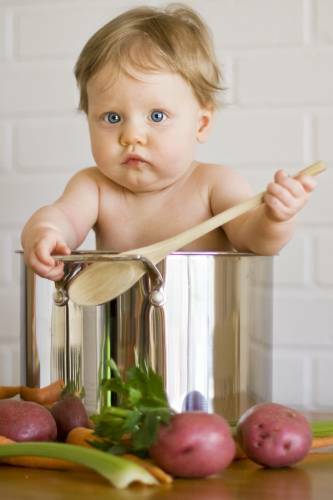 Is Your Toddler a Finicky Eater? Whether you call your child a finicky eater, a fussy eater or a picky eater, it all means the same thing…a toddler who went venture outside the comfort zone of a few favorite items. If you have a toddler who is a finicky eater, don’t despair. There are many strategies that you can try to help increase her food choices. In a new article on Everyday.com, author Lynn Yoffee looked to clinical nutritionist Samantha Heller for some advice. Apparently, babies are born with a taste for sweet things because breast milk is sweet. Over time, the taste for bitter or sour develops. Broccoli may be too strong for a 2-year-old toddler, but it depends on the parents too and their willingness to expose their finicky eater to a variety of food choices. I remember when my son, Alex, was very young. I was determined not to influence him about what he liked and didn’t like. 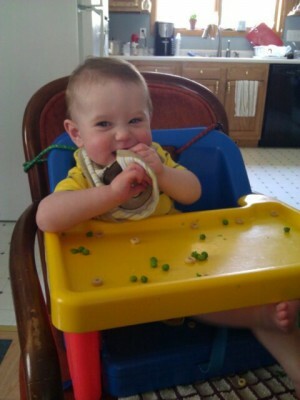 I mean…just because I didn’t like, say…lima beans, didn’t mean he wouldn’t like them, right? So, I served him up some, and much to my delight he didn’t like them…so I wouldn’t have to have those nasty things in my house again! Don’t make a big deal out of healthy food. Allow your toddler to help choose healthy foods. Give him three options and allow him to choose one. Make fun shapes and forms with food. Vegetables can be easily arranged into a clown face, for example. Never make eating a punishment. For example, don’t tell a toddler he can’t have dessert until he finishes his meal. Set a good example. “You can’t have parents eating unhealthy food and then expect the toddler to eat something different. They’ll notice and wonder why,” Heller says. Avoid juices, sweetened drinks, or snacks too close to mealtime. Get over a food jag. If your child likes only one food, meal after meal (known as food jags), let him have it. But be sure to offer other foods at every meal before that favorite food is presented. Food jags don’t cause harm and typically don’t last very long. If your finicky eater goes on an eating strike, let it happen. Set limits, be supportive, and don’t be scared to let your toddler go hungry. Give new foods a try. Put a small portion of a new type of food on the toddler’s plate. She doesn’t have to eat it, but keep putting it on her plate so that she becomes more familiar with the new, healthy food. Over time, she’ll eventually give it a try. When Alex was young, I used to put the same new food out on several occasions, encouraging him to give it another try because, “Tastes change.” Well, that worked real well until one day I came home from the grocery store with a dozen cartons of Alex’s favorite flavors of yogurt. But at snack time, I was surprised when Alex turned up his nose and declared that he didn’t like yogurt. “But, Sweetie…you love yogurt; that’s why I bought it for you!” And then my words came back to haunt me…”Well, Mommy, you know…” Here it comes…”Tastes change!” Honestly, I really couldn’t argue with that. I just found myself eating toddler-sized containers of yogurt for about a week. So. the keys to helping your finicky eater to try new things: Be creative in how the food is presented and served, don’t stress about it and model good, healthy eating habits so she will grow up to be big and strong…just like you! Do you have a finicky eater? What have you tried that worked? Please feel free to leave a comment about your finicky eater in the box below.